Not too long ago you might have dismissed the idea of a robot stealing your job as the stuff of science fiction. Not anymore. 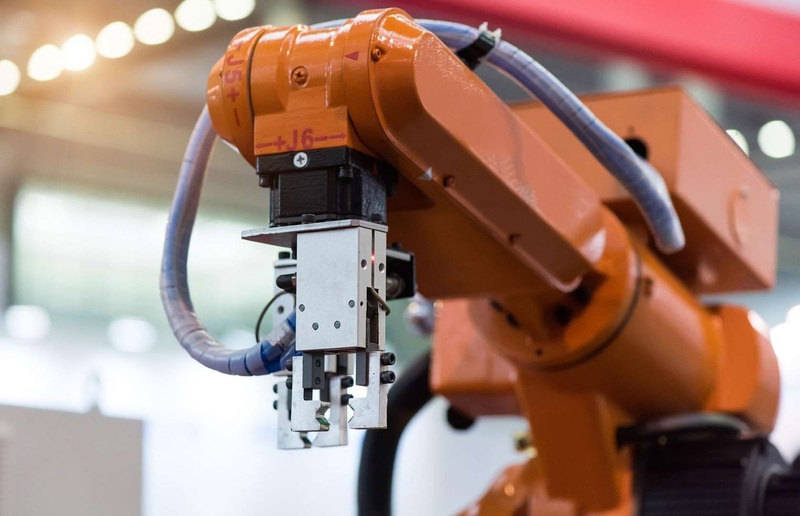 Companies are increasingly using automations in place of people and experts predict machines will take over the majority of roles within the next 30 years. Here are 30 major firms that have already started replacing their workforce with robots. 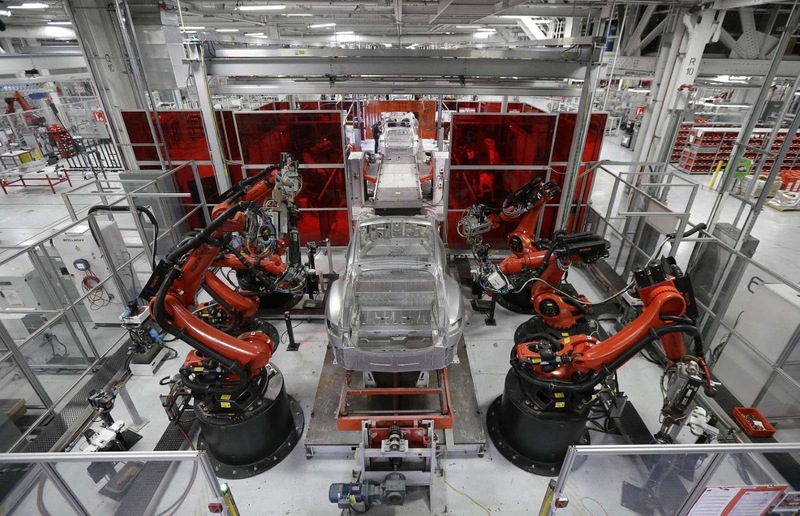 Tesla's new $5 billion (£4bn) Gigafactory 1 in the Nevada desert, which is still under construction, will be almost 100% automated in the future. 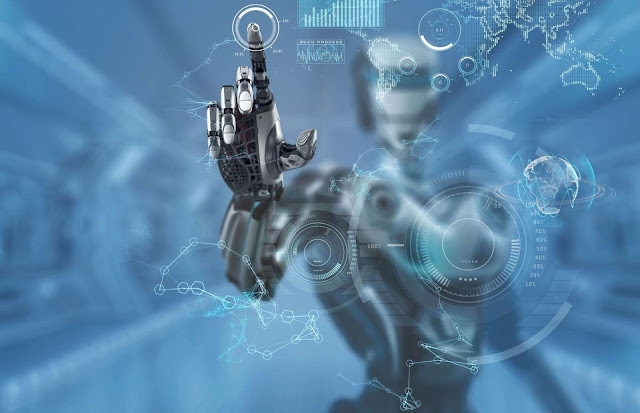 By the third phase of its development, machines will do the vast majority of the work with just a tiny skeleton staff of humans overseeing them. Macy's is also getting in on the act with its artificial intelligence-powered virtual bot. 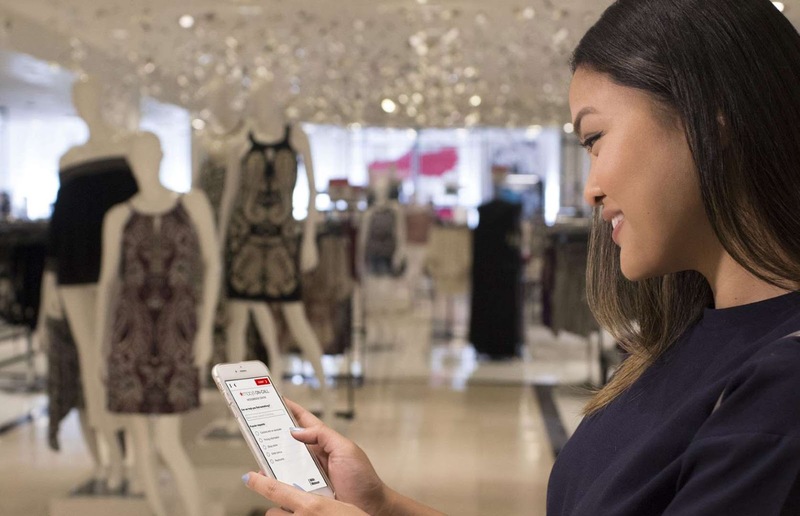 The leading department store has just launched Macy's On Call, a mobile digital shopping assistant that can deal with customers' queries and help them navigate the stores. DHL has also started to use collaborative robots. 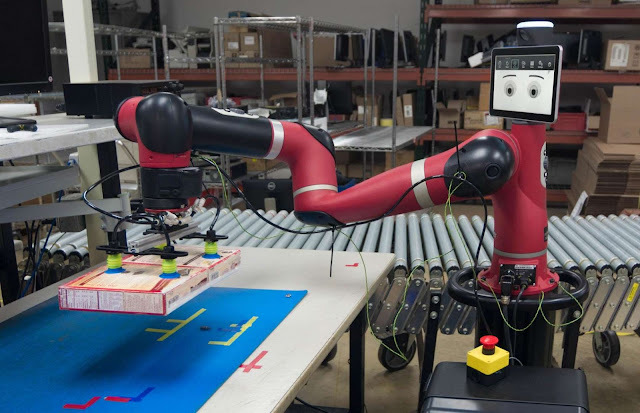 The logistics leviathan is trialing two Rethink Robotics cobots called Baxter and Sawyer at its warehouses in the States. 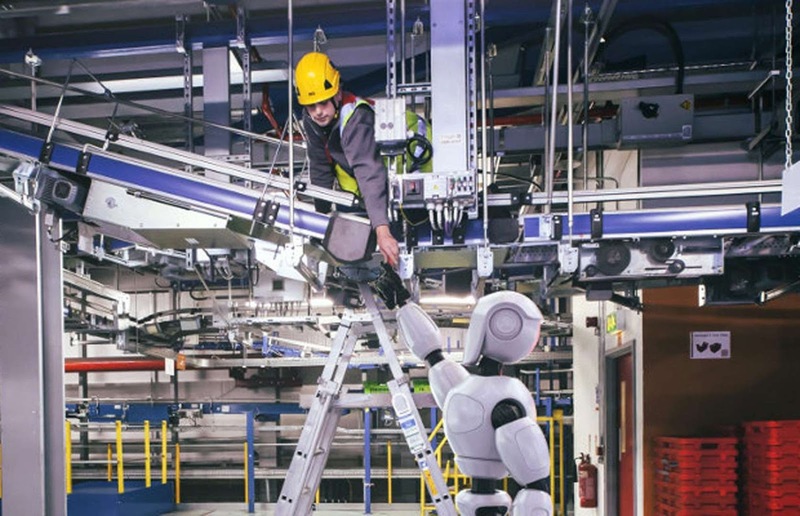 The smart cobots perform packing, kitting and pre-retail tasks alongside their human colleagues. Cambridge Industries Group (CIG) is one of China's leading suppliers of telecoms equipment. 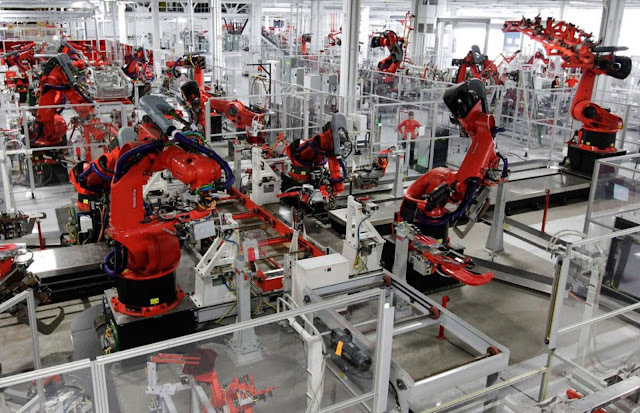 Big on automation, the Shanghai-based firm is in the process of replacing two-thirds of its 3,000-strong human workforce with robots, eventually creating energy efficient 'dark factories' where robots toil away in pitch-black darkness. 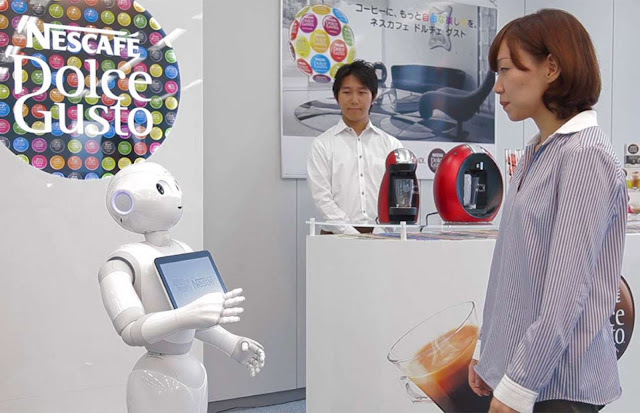 Nestle uses SoftBank's Pepper robots to sell Dolce Gusto coffee pods and machines in department stores in Japan, as well as answer customer queries. More than just a gimmick, the robots have been rolled out to 1,000 stores in the country. Retail robots are hitting our stores in droves. 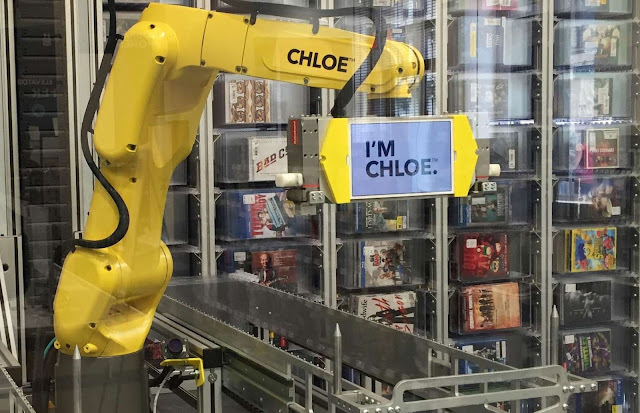 Late last year, Best Buy tested a product-retrieving robot named Chloe at its store in Manhattan's Chelsea neighborhood. The robot retrieves small items like CDs and headphones in seconds after customers order via a touchscreen. The e-commerce giant snapped up Kiva Robotics in 2012 for a staggering $755 million (£605m). 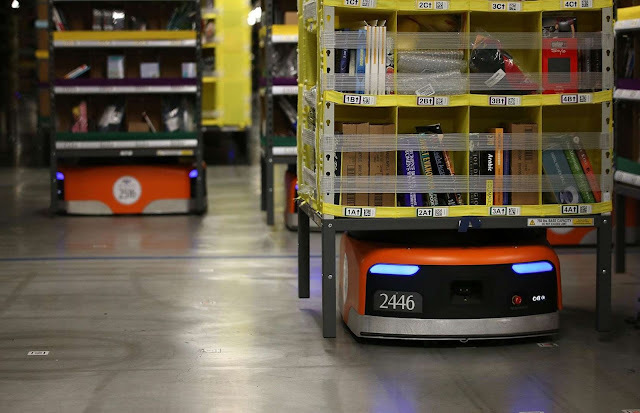 Amazon now has 30,000 fulfillment robots working in its warehouses worldwide and the company is expected to replace all employees who perform repetitive tasks with machines in the not too distant future. 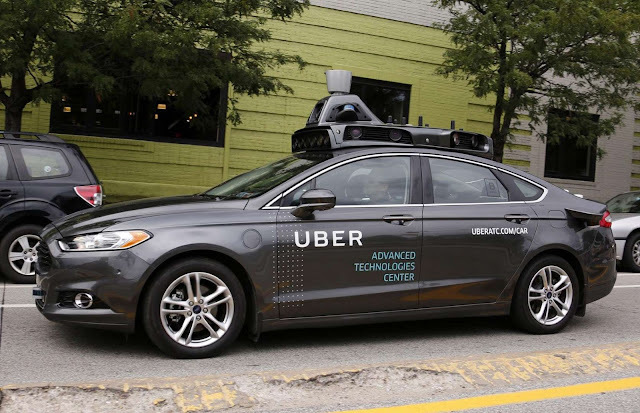 The ride-sharing app is testing self-driving cars on the roads of San Francisco, despite running into regulatory difficulties with the US Department of Motor Vehicles (DMV). The ultimate goal? Uber is aiming to replace all human drivers with robots. British outsourcing firm Capita recently announced its plan to replace 2,000 staff with automatons. 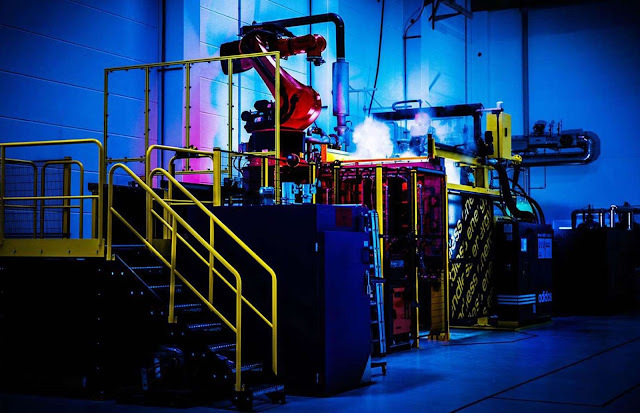 The FTSE 100 firm, which counts the UK's National Health Service and Driving Standards Agency among its client base, is investing in a variety of ultra-efficient robot and cobot technologies as part of a major cost-cutting exercise. 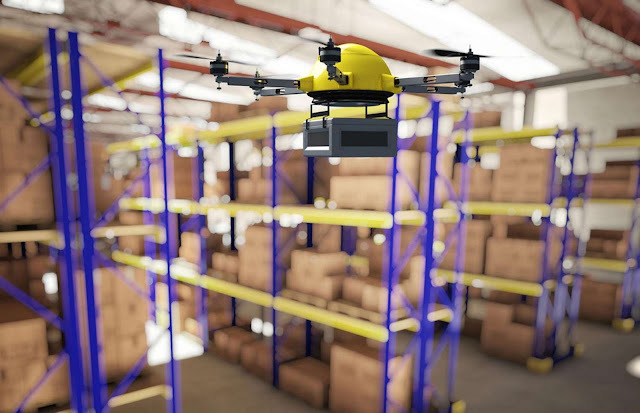 Walmart is testing warehouse drones that fly around its distribution centers monitoring inventory levels and flagging up low stock or missing items. Super-efficient, the flying bots can do a full stock check in under a day, a task that would normally take human staff an entire month. Taking automation to the extreme, China's Everwin Precision Technology is in the process of replacing 90% of its factory workforce with robots. The company, which produces electronic components, is in the vanguard of the robot revolution in China. Zara's parent company Inditex operates 14 automated factories in Spain staffed by scores of robots that do everything from cutting patterns to dying fabric. The machines work so fast, Zara can get a product from the design stage to the sales floor in as little as 10 days. Marriott isn't the only hotel group using robot staff. 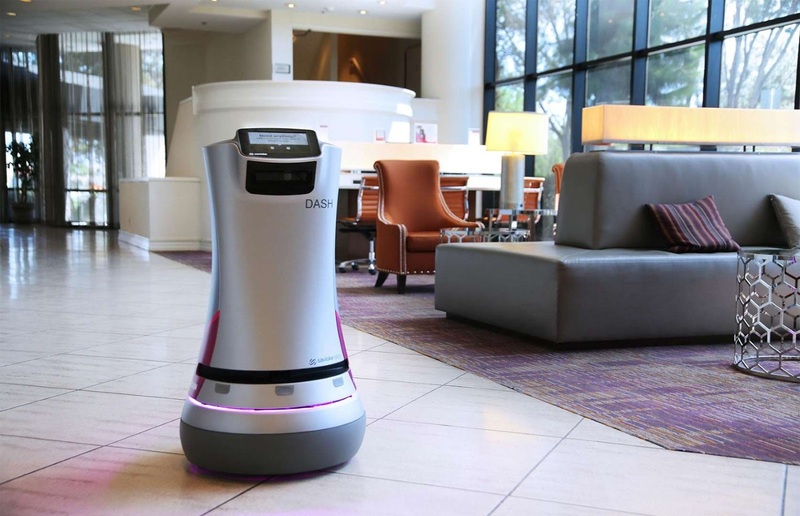 The Crowne Plaza San Jose-Silicon Valley Hotel in California has its very own room service robot called Dash. The touchscreen-faced droid delivers small items such as sandwiches and cosmetics to the hotel's guests. Earlier this year, Target carried out a trial of stock-checking robots at one of its stores in downtown San Francisco. 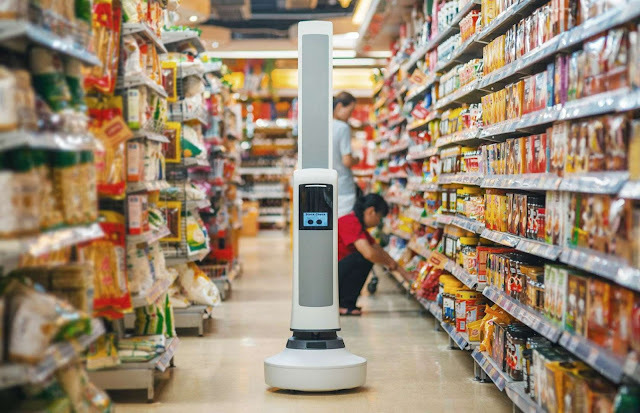 The Tally droids, which quietly move around the store scanning products and labels, are built by a company called Simbe Robotics. The air conditioning firm hit the headlines earlier this year when the then-presidential candidate Donald Trump brokered a deal to keep Carrier jobs in the US. While 800 American jobs were saved, a significant proportion of those roles will be taken over by robots as the company embraces automation. 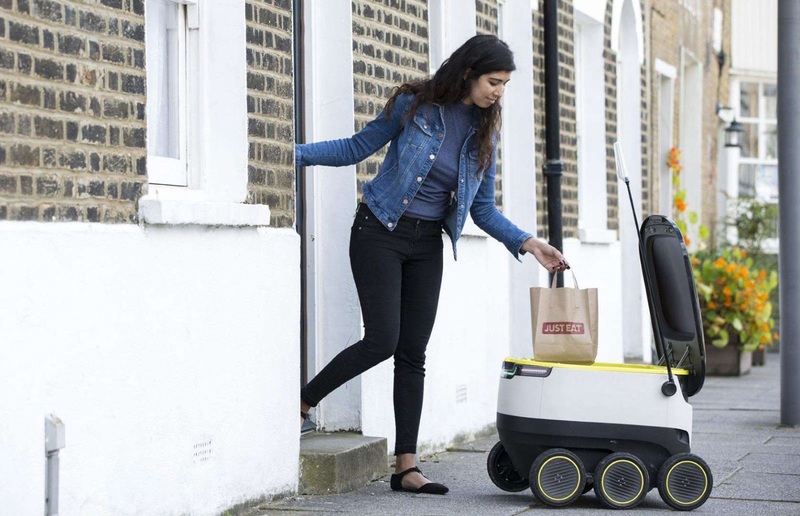 Earlier this month, online delivery service Just Eat starting using robots to deliver food in North Greenwich, London. The self-driving robots, which have been engineered by Anglo-Estonian company Starship Technologies, are fitted with GPS and cameras to navigate the capital's thoroughfares. Financial advisers may have to begin searching for an alternative career at some point soon. 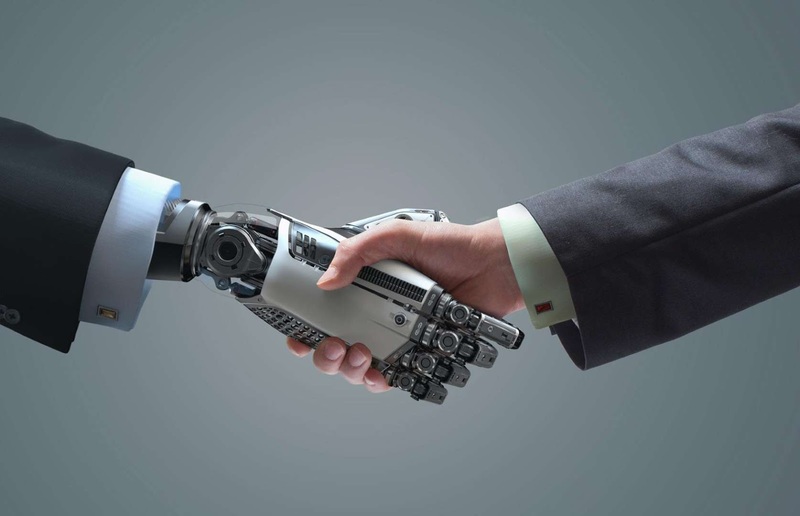 Robo-advisers, which use algorithms to manage portfolios, are increasingly replacing their human counterparts. 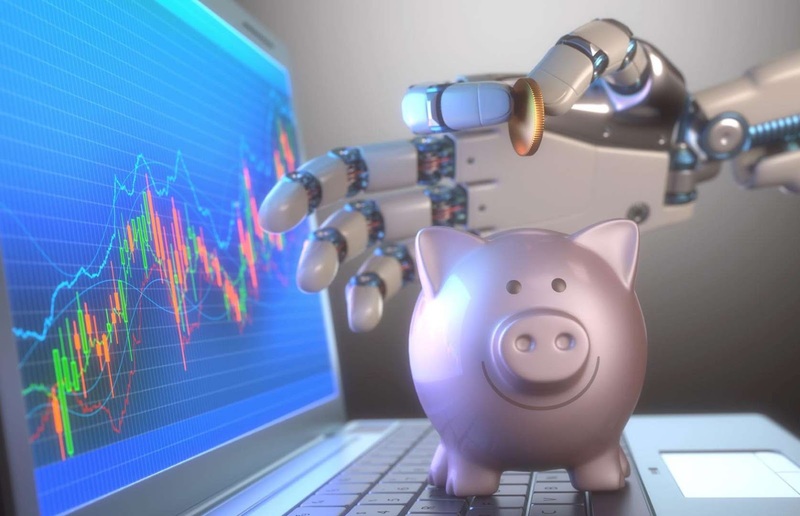 Fidelity Investments for instance launched its robo-adviser Fidelity Go earlier this year. 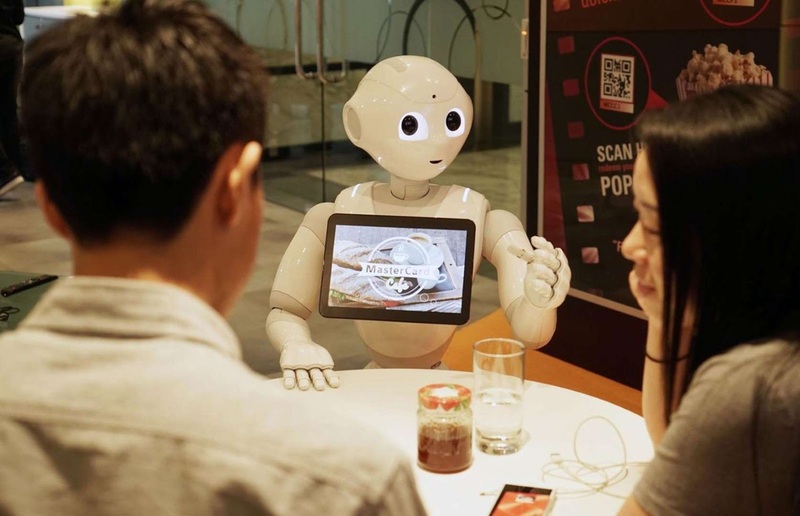 MasterCard has teamed up with Pizza Hut to roll out cashier and customer service robots at the firm's restaurants in China. Like Nestle and SNCF, the initiative uses SoftBank's humanoid Pepper robots, which can take orders, process payments and answer diners' questions. 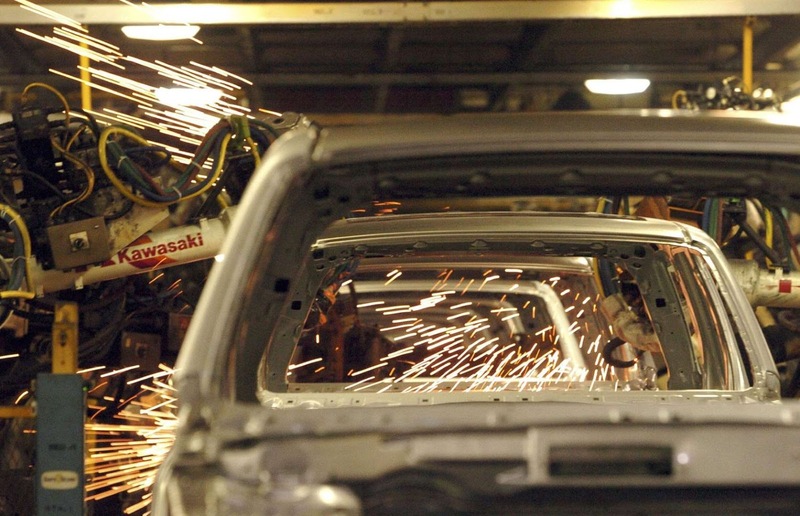 One of the world's most efficient car plants, Nissan's factory in Sunderland, England churns out half a million vehicles a year and can build a Qashqai in just 8.5 hours. The secret of its success? A massive 95% of the plant is automated, with robots carrying out the bulk of the work. 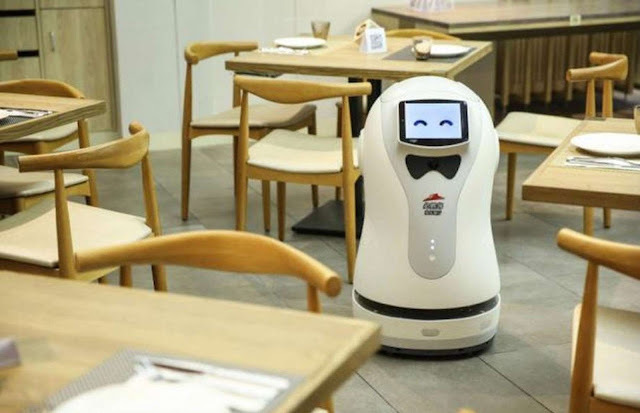 On top of that, Pizza Hut has just opened a concept store in Shanghai called ph+ that boasts two robot waiters. The friendly droids welcome diners, show them to their seats, take orders and deliver drinks. 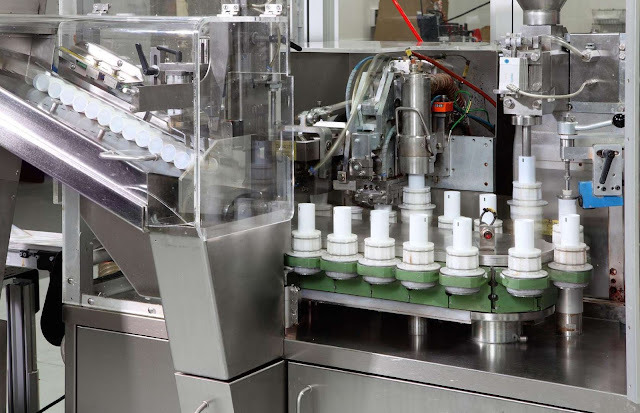 The luxury cosmetics company is developing a team of robots for its new distribution center in Osaka, Japan. 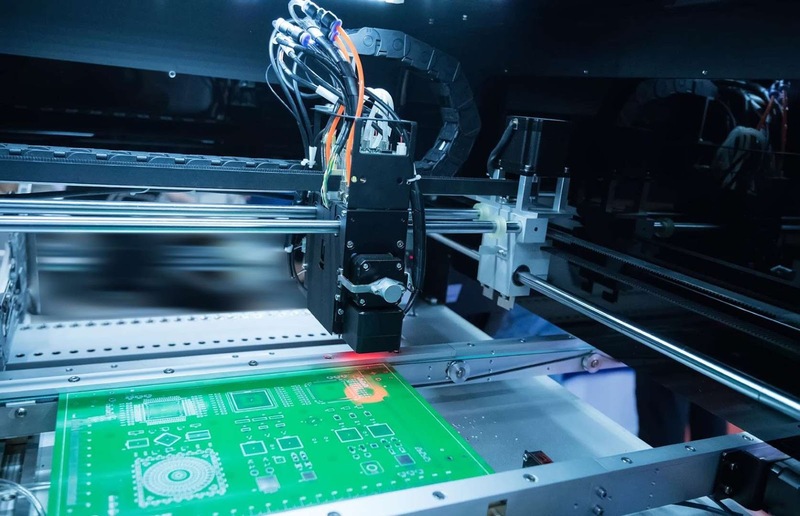 Thanks to this increased automation, the firm's executives expect to boost output by 50% while cutting costs. 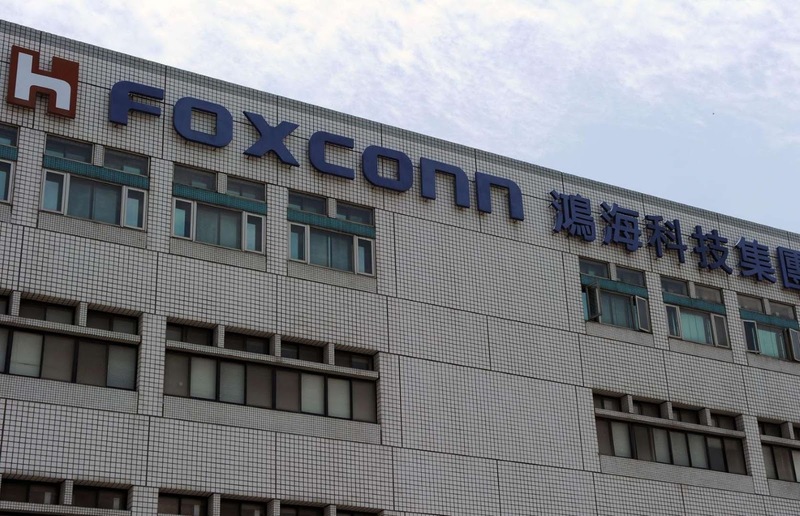 Foxconn, the Chinese company that makes Apple, Samsung and Microsoft devices, replaced 60,000 human workers with robots earlier this year. 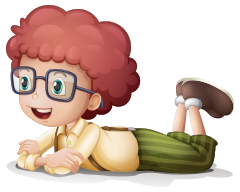 The company hopes to automate all roles that involve monotonous repetitive tasks. The robot revolution has also hit the world of banking. ING, a major Dutch bank, is replacing 5,800 human staff with robots. The firm is spending a whopping $2 billion (£1.6bn) to fund the automation project, bankroll redundancy payments and improve efficiency. 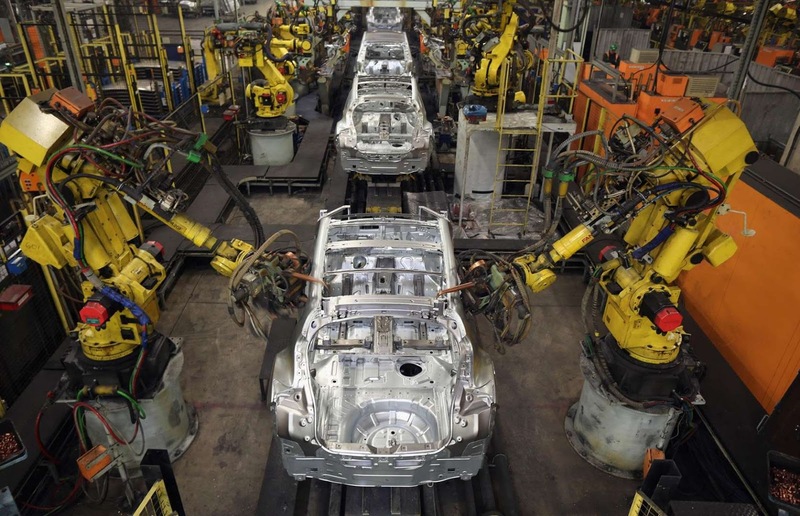 The automotive industry is the largest user of industrial robots and Ford has pioneered the use of automatons in the car-making process. The company is currently testing 'cobots', robots that work alongside human workers and can even perform delicate tasks such as making coffee for their flesh and blood colleagues. Human customer service staff may soon have to start thinking about a career change. 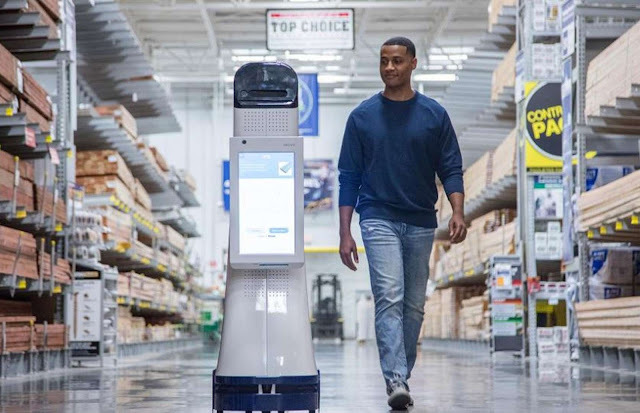 Hardware store Lowe's recently rolled out a team of Fellow Navii 'Lowebots' at 11 stores in the San Francisco Bay area. 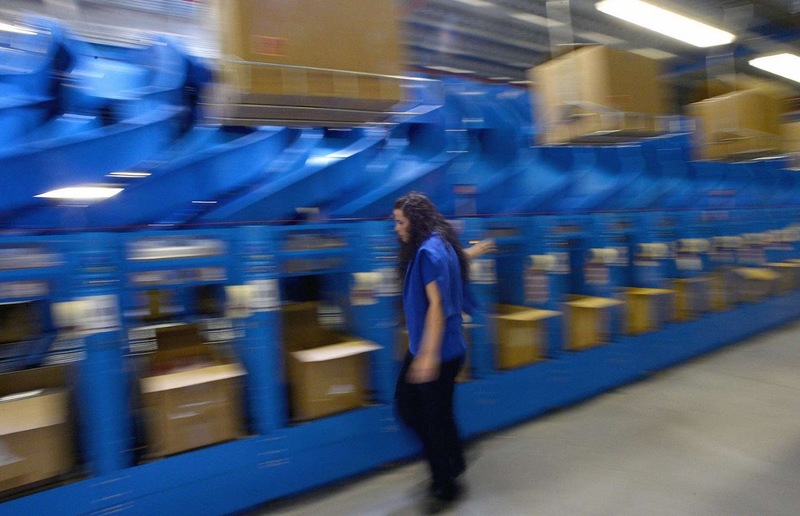 The multilingual bots help customers locate products and can keep tabs on inventory levels. The German sportswear firm opened its first automated factory this year in Bavaria and revealed the robot-made Futurecraft M.F.G. shoe in September. Adidas' Speedfactory has streamlined the sneaker manufacturing process and the firm is planning to open further Speedfactories in the US and Western Europe next year. 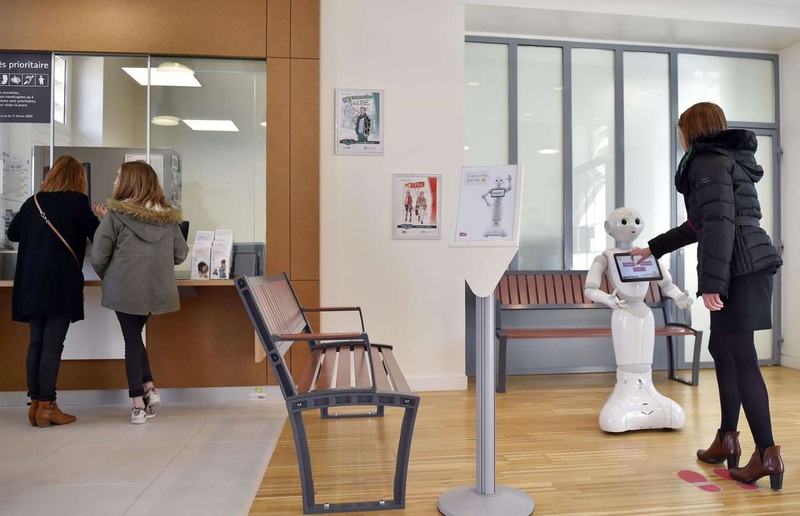 France's state-owned rail company is also trialing SoftBank's Pepper robots. The droids, which offer train info and answer customer queries, have been tested at three stations. 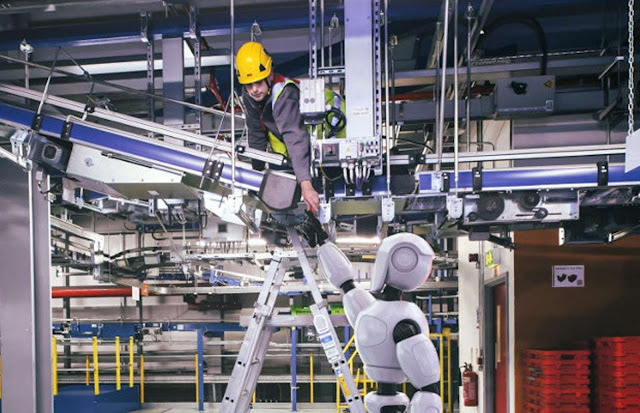 British online supermarket Ocado already uses more than a thousand 4G-enabled robots in its automated warehouses, and the company is working with four leading universities to develop a humanoid robot that can assist its in-house technicians with tricky maintenance jobs. The hotel industry hasn't been immune to the robot revolution either. 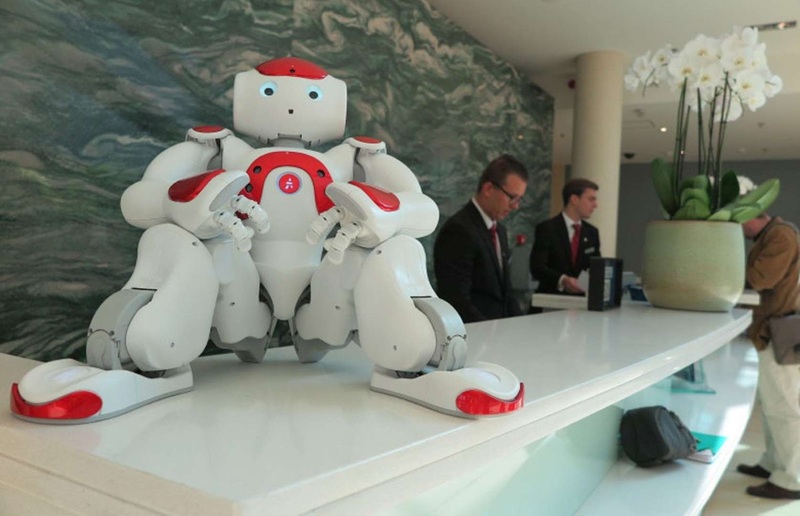 Mario the robot helps human hotel staff check in guests at the Ghent Marriott Hotel in Belgium. Across the pond, Wally the room service droid delivers food and drink to guests at the Marriott Residence Inn LAX in Los Angeles. Chipotle has teamed up with Google's parent company Alphabet to offer a groundbreaking drone-delivery service to students and staff at Virginia Tech. 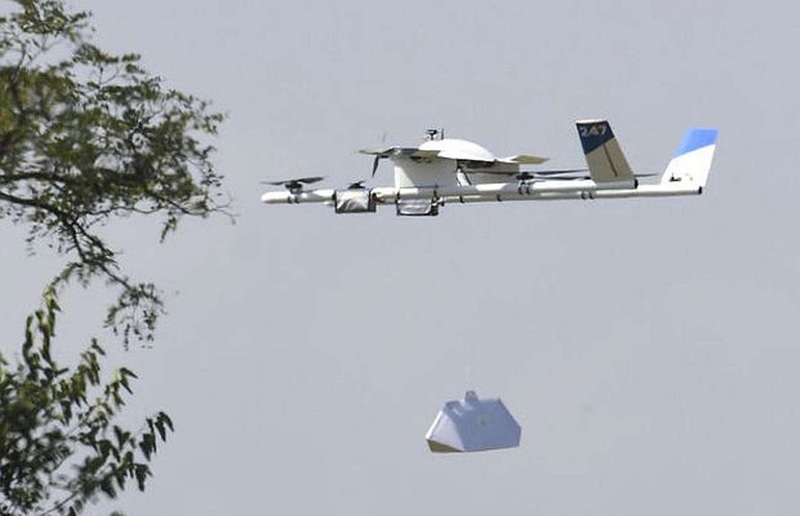 Alphabet drones will soon be dropping Chipotle burritos at designated delivery points around the campus. He's got two wheels and a permanent smile on his face. Casper the Robot is making a difference at a hospital in Lisbon. He patrols the hallways - lifting the spirits of young cancer patients. Experts are hopeful that if the children stay happy, they'll recover at a faster rate.